Some say that the kitchen is the heart of the home, those who say that must not have an office in their house. Now, that isn't to say that the entire family gathers around my desk and we create all of our best memories here, but for me so much revolves around the office. I start each day at my desk, and sometimes even end the days here, and that is reason enough to have a space that I enjoy to sit at and one that inspires me. My heaps of list keepers: Agh, yes, my notebooks upon notebooks that are filled with post its and my scribbly handwriting. I am one who has to physically write something down if I ever want to remember it, needless to say I would be lost if anything ever happened to my lists. 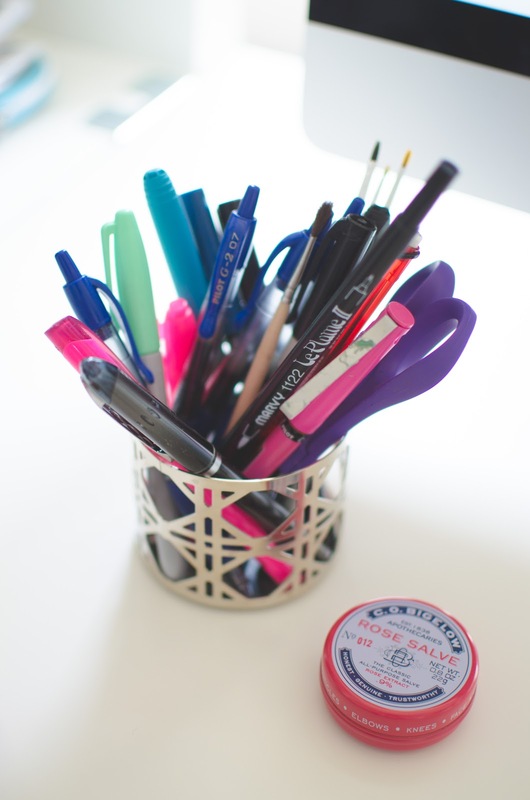 Utensils: Do you have a favorite type of pen? Mine are basically anything BUT ballpoint pens. The Pilot Precise V5 Extra Fine are the equivalent to my pen best friends. -Keep your area clean and free of clutter. I am guilty of using my desk (and chair) as a dumping ground. -Have photos, quotes, flowers, anything that makes you smile, near you to refresh your brain and make your space calm and positive. 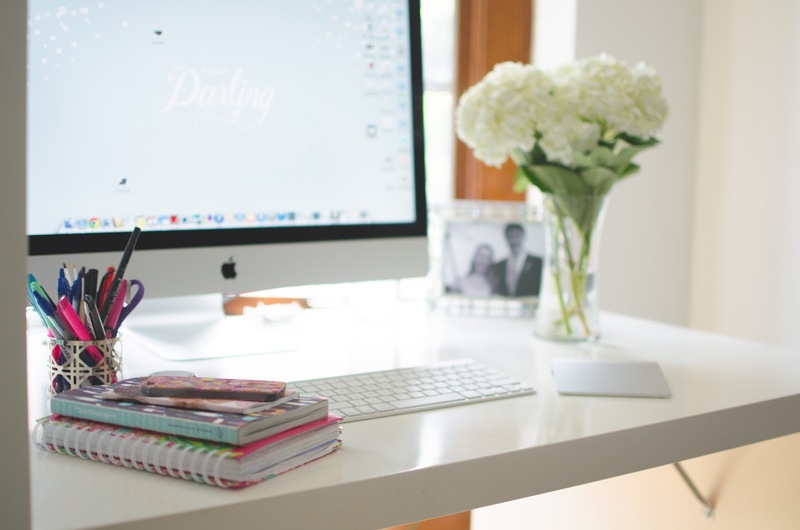 -Put anything that you might (ever) need throughout the day at your desk, i.e. lip balm, hand cream, foot cream, gum, pens, magazines, paper, seriously anything! The second that I get up to get lip balm is the same second where I lose my train of thought and get distracted. 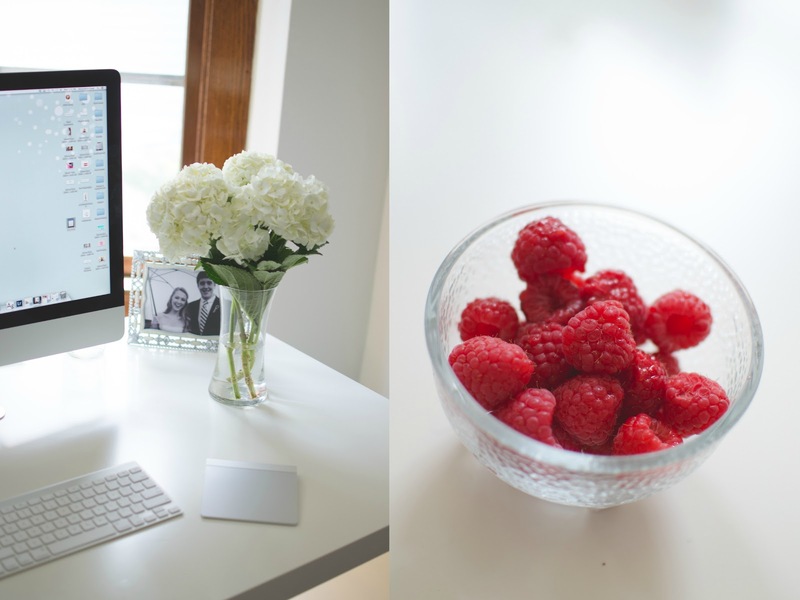 Take breaks as needed from your work, but equip your desk with the essentials. 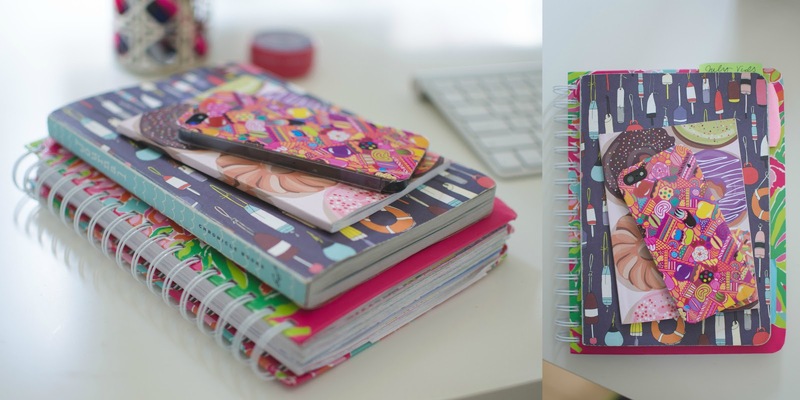 -Jot your to-do's and notes down. They deserve to be remembered and written down so that they can be accomplished.